Inspired by the inland courses of the British Isles with it's low lying vegetation and rolling terrain, Grand County's only "Heathland" style golf course showcases the rugged natural beauty you'd expect to find in Colorado. Designed to challenge the imagination and creativity of the finest golfers by using the rolling terrain and natural contours to influence shotmaking. Yet it's also perfectly suited for seniors, juniors and ladies where distance and forced carries aren't mandatory. 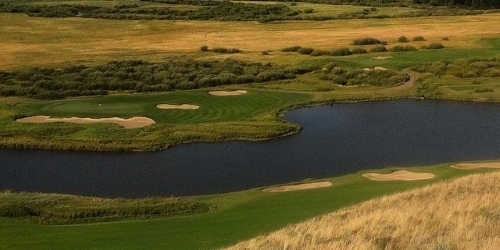 Grand Elk Golf Club reserves the right to change price and offer at anytime. Prices and offer are subject to change without notice. GolfingColorado.com is not responsible for errors posted in this golf package.